WIPERS - In the 2001National Car Care Month vehicle check lanes, 21percent of participants had wipers that smeared, streaked or chattered across their windshields. Although climates vary, wipers generally need replacing every six months. An easy reminder is to change wiper blades in the spring and fall when you change your clock. Be sure the windshield washers are working properly, too, and keep the reservoir filled with solvent. I just want to say a awesome job from Billy. I needed to replace a TPS on my car and was received advice and a reasonable price. Will be using Cooper Lake Chevron for my car services. Thanks!!!!! Always great people working there, and always great service. I absolutely trust them!! Always friendly, honest and very accurate. 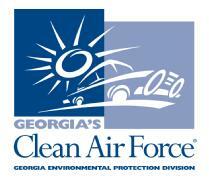 They've helped me out many times & they also do emissions. Always good service from these folks! Jimmy has taken care of several of my family's air conditioning problems on their autos at a fair cost. Always honest and can highly recommend them for your auto service needs! Fast service and reasonable prices! Great place to get you car serviced. Jimmy is the best!